Hi everyone! I have got a pair of cf-3 version 1's and i love them, but i want to try and venture into tubes. I have been looking at a cheaper tube amp like a nobsound 8 watt or 12 watt amp. 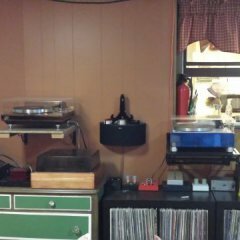 I have been using a pioneer elite receiver And the sound great but my grandfather said give tubes a try. So my question is how will tubes sound with the cf-3s? And would 8 or 12 watts be enough to drive them to high enough volumes? Thanks in advance guys! Others here will have more experience with tubes but I am running my KG 5.5s with a about 7W of Class D power and they easily go louder than I can handle. Once you find better alternatives to Class AB you cant go back in my opinion. That amount of power will get louder than you expect, but won't have the bottomless reserves of a big amp. Not sure about the nobsound amps as a good match for Klipsch. They have very high input sensitivity (at least the one I checked, which was 300 mw for full output). That would allow an ipod to drive them to full output, but it's pretty far from ideal from a s/n standpoint, and could yield more hiss/noise than a less sensitive amp. Also, their explicit warnings on poorly mounted controls and how to re-install them once you get the amp is quite the sales pitch. Also, the one I looked at was 25w, so a pp type, or a hybrid with ss output. Both of those sound different than single ended amps, which are my own personal preference after playing with all sorts. For the amount of power you quoted, I would look for something else. For example, there was an Inspire by Dennis Had listed in the garage sale forum for $800 or so. That's the sort of thing that I would keep an eye out for if I were you. He also sells them on ebay. Or consider DIY, but that takes some time and learnin' if you're not already an experience solder slinger. I had/have the NOBSOUND amp, and it's not close to being what they say on power ratings. Plus, you'll have to clip wires to run it in triode mode, so it will be in ultralinear mode when it comes. It will push the speakers, but not like something with a little more power, so it may lack in the bass department when turned up. Having said this, I took one of them and had it rewired and caps and resistors were upgraded and the thing sounds much much better than when it was stock. That one I wound up selling to someone who came to my house to listen to music. So I wound up buying another one that was already wired in triode mode only. The 1st one prior to mods was pushing about 11 watts and 3 watts, and the 2nd one pushes 3-3.5 watts even though it's rated for 4 watts. The 2nd one also sounds very good and has the 3D imaging with it. I use the Forte II's for it,and they don't hog as much power as the CF's do from my understanding. As long as you aren't looking to really pump the music loud, it should be good for "critical low level listening". For the price point I don't think it would be a bad investment to get into tubes,even if it slightly lacks in volume when you get it. It makes for a nice 2ndary amp for an office or desk top amp and speakers that may not need as much power. I use mine for critical listening and have it hooked up to an amp switch. I have a SET, SEP, and PP amp and all have their uses for me, so I just push a button and get what I want. I have 3 turntables and my external hard drive and DAC hooked into a switch as well, so everything for me is just a button away. It works for me. I'm far less knowledgeable than others on here when it comes to tubes, but I do know this unit firsthand. I have a Dennis Had Inspire amp that I would be willing to part with for 750.00 It's a KT66 SE and sounds great. Run it into a set of Heresy's. I only have so much room and my MC40 mono blocks get top billing. I have/had CF-2, 3 & 4's and while they all will sound good with @10 watts going in, I found that 25 watts and up are needed to control the woofers and 100 watts isn't over doing it and will provide the deepest and most impactful bass (especially notable with the CF-4 model). As your grandpa and others have mentioned, good quality tube amps are an excellent match with most Klipsch speakers but the Epic series seems to lend itself to SS and digital topologies that can provide more bottom end and control. Still, look for quality as you want to avoid the noise, strident highs and distortion prevalent in lesser amps. Have fun!